'S e bliadhna-leum a bha ann an 1564 (MDLXIV). Chaidh an Howff a stèidheachadh ann an Dùn Deagh mar àite-coinneachaidh luchd-ceàird a' bhaile. 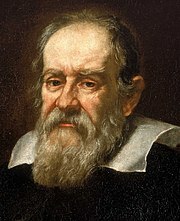 15 an Gearran - Galileo Galilei, ann am Pisa. Fear-saidheans às an Eadailt. Air a tharraing à "https://gd.wikipedia.org/w/index.php?title=1564&oldid=543046"
Chaidh an duilleag seo a dheasachadh 20 dhen Iuchar 2018 aig 11:18 turas mu dheireadh.